Sometimes people say that the person who snores does not actually have a problem because they can not hear themselves. Well, although that statement is not true at all (e.g. they do not get as much oxygen as their body may need) it is definitely true that anyone else in the vicinity is going to have a major problem both falling asleep and staying in high quality sleep. Actually most of the time everyone in the house ends up having at least a little bit of lack of sleep, which, over time consolidates into terrible conditions like chronic sleep deprivation. This, in turn, has even more disastrous effects including both mental (e.g. depression) and physical consequences both in terms of health damage and in terms of real life problems like under performance at work or problems with studying and catching up with other students. I have seen many people in the forums asking for help on what to do about their mother, father or grand parents snoring; shouting and screaming that they can not office work or do their homework or concentrate on any tasks for that matter and as mentioned, getting some sleep oneself. And in many of these cases the people who snore simply don’t give a damn and they don’t care at all about the damage they are dealing to their own family. Part of this is because they are not nice people and part of it is because they think snoring is like sneezing – nothing can be done about it, so it is a lack of education, because snoring is 100% curable condition (and in most cases even without a doctor). Yet others know that they snore because of being fat, but don’t want to change their lifestyle, even at the expensive of their own children, so to prevent snoring in these cases could be really impossible. So all of the explanation above is exactly why I decided to write this article and recommend people to use ear plugs to prevent snoring. Among the snoring solutions the ear plugs are extremely cheap (even the good ones) and completely non-invasive doing no damage at all to your body. 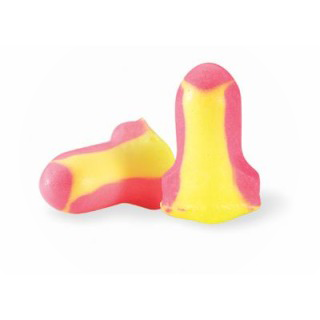 I also suggest you look more for foam ear plugs than the traditional type because they seal the noise better. And even if they do not give you 100% peace, even 50% is already a huge improvement! Really simple idea! Why didn’t i think about this myself i don’t know, i mean of course! ear plugs to prevent snoring and also other noises! Thanks!